I keep getting asked how I got my book deal (here’s the story), how it’s going (so well! ), do I have any tips (so many!) and other fun questions about this adventure, this process, this journey… so I thought I’d collate what I’ve learnt so far into a series of posts. I’ll hopefully have them all published by the end of this year. So here we go, Part 1, insights into my book proposal. There was something really special about sitting down to write my book proposal. It wasn’t just the excitement of sitting down to start a new project – one I’d never worked on before. It was because this project held so much potential – the possibility of an international book deal, and making my long-held dreams of wanting to become an author come true. If you’ve read this post, you’ll know how close I was to not actually writing or submitting my proposal. My ego told me all manner of stories; that I wouldn’t be able to write a proposal in 5 days (yeah, I only decided to do this 5 days before it was due!). I’d been working hard on another project of mine too, the Heartfelt Harmony Society, and so a lot of my energy was being funeled into that. I worried that I wouldn’t be ‘allowed’ to write my book and launch my Society’s selection of 6 courses and guides. Every niggling fear I had about this process has been absolutely and undeniably misplaced. Nothing that I worried about has come true; in fact, it’s been the opposite. This whole process, from the very first day, has felt so wonderful and I am so, so grateful, happy, and honoured to be here right now. If you’re sitting down to write a book proposal or even a book outline right now, sit down and do it. Sit down. And write. And then keep sitting down, and keep writing. Write in the spaces between your life, your day, your errands and routines. Write when you don’t think you have anything good or useful or enough to say. Write when there’s loud noises around you, and silence, and sunshine and thunderstorms. And then sit down tomorrow, and write some more. You can’t edit what you haven’t written, so write it. I don’t know what my book proposal would have looked like if I hadn’t combed through this program word by word while writing my proposal. 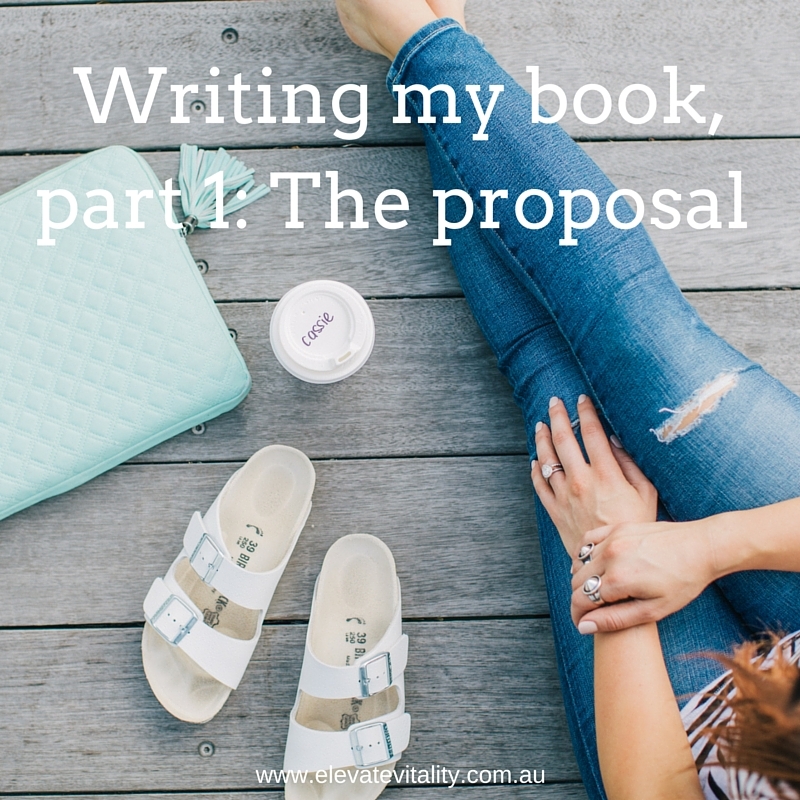 It was so incredibly helpful in shaping my proposal, in what to include and what to leave out, in knowing how to craft certain sections and also importantly, understanding why certain elements are crucial so you can make them sound amazing. If you’re writing a proposal, if you’re planning to write and publish a book (whether that’s self-published or via traditional publishing), you honestly need this program. Do you ever sit down and create ‘for no reason’? I often do, and it served me so well in this instance. Perhaps it’s even an idea you thought would be wonderful but then didn’t finish or repurposed the content for a different project. Several months before I even decided to go to the Hay House Writer’s Workshop, I sat down and wrote out several thousand words that was going to form the basis of a free webinar. I never ran the webinar because other ideas came through as to how I would like to use the content, and then of course this proposal popped up. There’s a reason I could write my proposal in only a few days; I had content I hadn’t published before that I could use for sample chapters and the book outline. So next time you have an idea, but you’re not quite sure where it ‘fits’ yet, just sit down and write, brainstorm, map it out… because you never know when that little burst of creativity could change the trajectory of your life. Right after I attended the workshop, I wrote this post on patience. Note the last sentence. I set the intention, I said it out loud… then I let it go. I didn’t hold on, or grip too tightly, or attach myself to an outcome. Although I had a good gut feeling about this whole thing, I didn’t have any expectations… and that was the best way to play it. At the same time as I set the intention and let it go, I still threw my all into writing my proposal. In fact, the universe gave me a lot more space to write it too, with an almost fully booked client schedule being rescheduled. Make space, put your all into it; you never know where this can lead. And even if you don’t end up submitting it, you’ll at least have an incredible idea of what your future book will look like, you’ll have an awesome book plan and you’ll have insights in the writing, publishing and marketing of your book. I hope this helps you on your journey if you’re writing and submitting a proposal for this year’s Hay House Writer’s Workshop, or if you’re writing a proposal for any publishing house or literary agent’s attention. If you’re feeling blocked towards this in any way, book a kinesiology appointment or program and lets clear those sabotages so you can move forwards the way you know you can. And I’d love to know what you thought of this post, and if you have any questions you’d like me to address throughout the blog post series. I can’t wait to hear from you in the comments below. Wishing you love (and powerful manifestation vibes). Thank you. I’ve started my proposal and this was great to read!